We are proud to give our readers an interview with these Brazilian legends of Bandeira de Comabte. Enjoy! BANDEIRA de COMBATE is quite big in Brazil, but not up here in Scandinavia. So, you might have to give us your story of who you guys are, how you guys meet, decision of starting a band, releases and so on. BDC: The band emerged from the friendship of three young Skinheads who lived in the same neighbourhood in the city of Salvador - Bahia, a state in the northeast of Brazil. It was the summer 1988 when they started up the band and from the beginning the intention has always been to use music as a weapon against the system. We were very young and wanted to promote our lifestyle and our radical nationalist political views. From the first line-up we have Marcio (vocals), Geraldo (guitar), founder members of the band. Fadel (bass) was a Skinhead from the suburbs of São Paulo, called ABC, Brazil's biggest industrial region. He joined the band in 1993, when they moved from Bahia to São Paulo. In the first 5 years, BDC played only small gigs and Skin festivals in the region. It was in 1993 that the band was invited to play the Dezembro Oi! festival, where we could play with Brazil's biggest bands at the time and to hundreds of Skins from all over the country. Our band has always been directly connected to the street scene and close to different Nationalist Skinhead Organizations on celebrations, demonstrations and on the combats against the enemies. In all these years, BDC have been more like a live band, more than actually been in the studio, we did only few albums, most of our songs have never been recorded. Our idea has always been to play for the Skins and whoever wants to listen to our music, have to come to gigs and support the scene. I remember when you did the split with Kill baby, kill! and a discussion flared up on where you stood politically. You might like to tell you a bit about the background of the split and maybe even make a statement on where you stand, so your fans can straight out their question marks? BDC: We don't know exactly what these question marks actually are. But, if there are any, so we will try to answer them: We have always been a Nationalist Band. 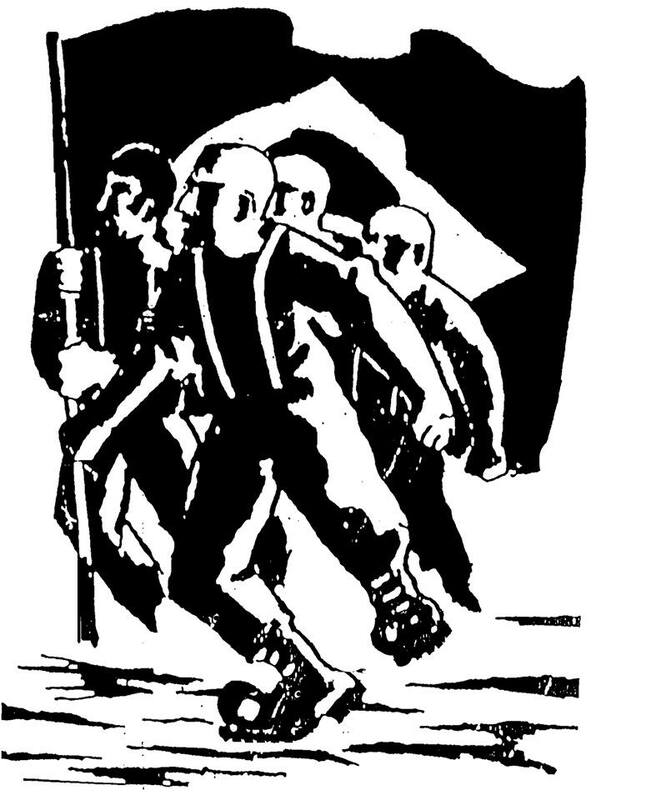 Among the founder members, two were politically inspired by the NS ideology, Marcio and Geraldo, both belonged to PNSB (Partido Nacional Socialista Brasileiro) founded in 1980. Fadel, Lucas (guitar) and Nando (drums) are all Nationalists. Everyone who knows our songs and where the band has stood in the past 28 years, has no doubts about our views. Our split album with KBK was a result of the friendship among Junior (Arcabuz Records) and our friend Dieter. They talked about music and productions, created together this partnership in their constant exchange of messages. They proposed the project to BDC which we immediately accepted, once we knew and really liked KBK's songs and really appreciated Dieter as a friend. During the years, your point-of-view on things, have it changed any? BDC: It is quite natural that some aspects of the band have changed in the past 30 years. We were really young and believed that we could solve any problems through punch-ups, that we would defeat the communists on the streets using extreme violence. Today, being more experienced and mature, we know that Z.O.G is a multi-head monster that we must fight with ideas to avoid being defeated. We have a different "modus operandi" but with the same behaviour, we keep strong in rage and faith. BDC: We describe ourselves as Skinhead Rock'n Roll, free from fashionable items, dissident music, anti system, patriot and anti-Communist until the bone. Can you tell us about what your lyrics are mainly about? 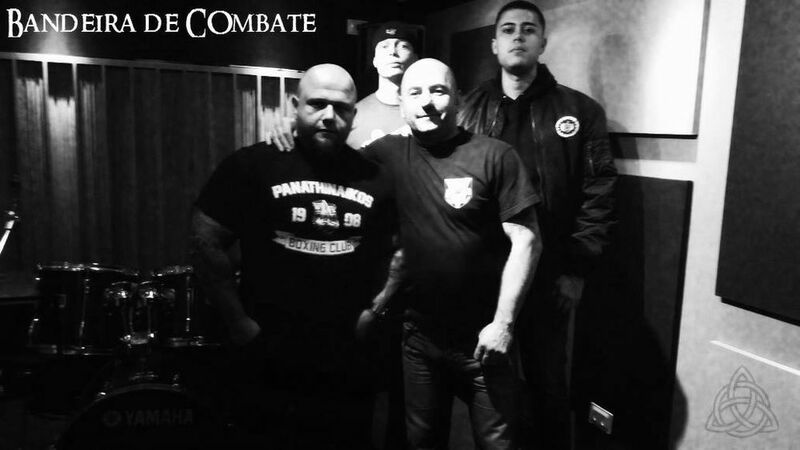 BDC: Our songs are based on the core of the Skinhead lifestyle and their Nationalist fights. Drinking, girls, brawls but also our blood ties, history and culture. We sing about heroic virtues, love for the country, against the decadent modern world, among other nationalist issues as anti-communism and anti-Zionism! Can you decribe the scene in Brazil? 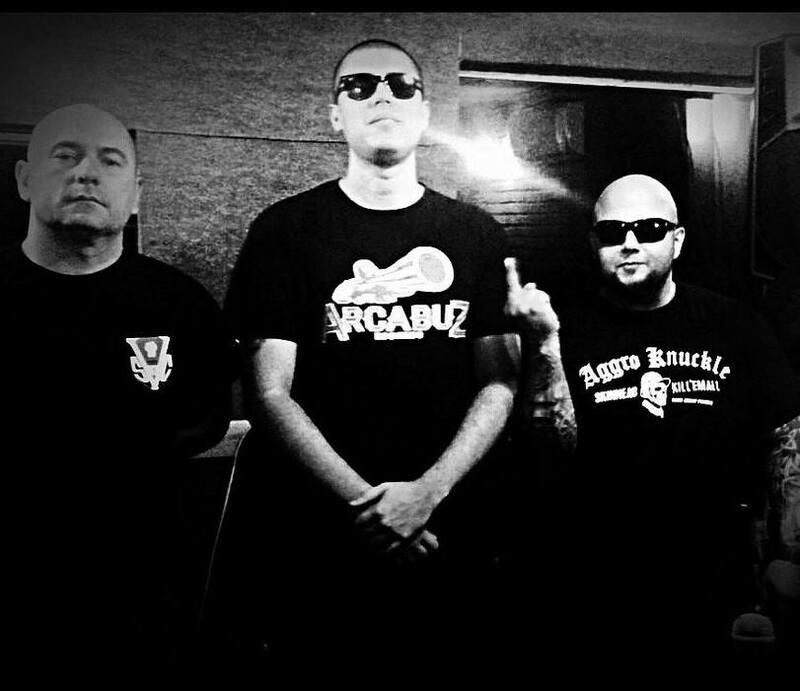 BDC: The Skinhead scene in Brazil started in 1982 as a counterculture movement, formed by young working class patriots in ABC from São Paulo city. It's been keeping up for the past 30 years, despite ups and downs, hassle from the media and the police. Nowadays the scene has been recovering its values from the past, its ultranationalist traditions. Which is excellent. The Nationalists and NS/WP keep a close relationship of respect, on the other hand, a Politically Correct Oi! and an apolitical "Carecas" scene, also grow, but without much significance. Where would you see the scene in South America be in 10 years? BDC: The scene in South America has impressed us very much. To unite Skins from Argentina, Uruguay, Brazil and Chile, with strong connections even in Central and North America. Nationalist/Fascist Skinheads from all South America decided to create a cultural/political resistance block. Every year the members of FS get together in Argentina for meetings and concerts with bands related to the Front. We don't belong to FS but we keep with them a straight relation for projects in Brazil. There are some brilliant bands: FIDES SKINS (ARG), GLADIUS (ARG); ESCUADRON (URU), ORGULLO SUR (CHI), INFRATORES (BRA) and others coming up to guarantee the future of our Ibero-American scene. And where do you see Bandeira de Combate in this development? BDC: We grew up musically, the two new members have brought quality to the band. Lucas is a great guitarist and brought new tunes to add to ours, we've got now a heavier guitar duo, melodic solos from Geraldo and more aggressive ones from Luca's Heavy Metal roots. Also, Nando, our new drummer with more violent beats. So, now we can say we are ready to blow people's ears and play around the world. What is your musical influences? BDC: Our main influences come from the British bands from the 80's such as Condemned 84, Close Shave, Section 5 and a lot from the old school European RAC: , Skrewdriver, Brutal Attack, Skullhead, Razors Edge, No Remorse, Evil Skins, Brutal Combat, Verde, Bianco e Rosso, Peggior Amico, Störkraft and mainly the legends Endstufe. Also, a metal influence that the new members bring. Which gigs have been the most memorable for you? BDC: Our most important gig was in 1995 in the city of Curitiba, south of Brazil. where we managed to gather Skins from all over the country and played this classic concert with the main national bands. 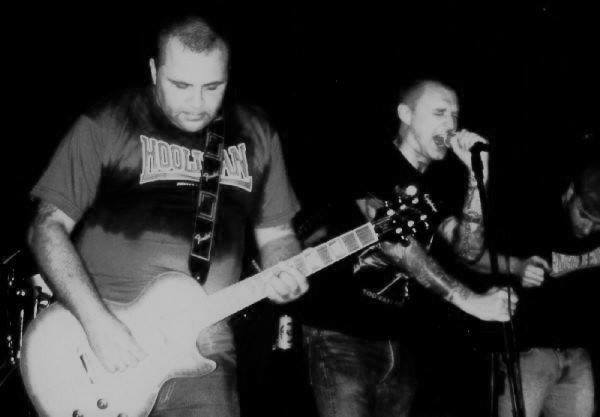 We have a found memory about this unforgettable gig in 2008 Rio de Janeiro city with Endstufe and when Alex from Battle Zone jammed with us playing British Oi! classics. Also, when we were recording the split BDC/KBK, we played a small gig with Dieter but incredible performance him, we played in the eastern neighbourhood of São Paulo city, celebrating the album. That will be forever in our memories. We played a great gig with Brassic in Brazil’s capital, and last but not least, the gigs we played at home with Orgullo Sur in Skinhouse ABC. And the first Winterfest 2016 we play with Brassic, Fides Skin and Lemovice all great guys, and an another unforgettable moment. With which bands would you like to share stage with? BDC: Faustretch, Malnatt, Gesta Belica, Aggroknuckle, Abtrimo, Mistreat, Brutal Attack, Squadron, Bakers Dozen, IC1, Legitime Violence, Bully Boys, BFG, Obled, Pitbullfarm, Squadron, Para Elite, Fortress, Antisystem and more bands! Skrewdriver, Skullhead, No Remorse, English Rose, Peggior Amico, Völund Smed, Pluton Svea, TItkolt Ellenállás , Honor and Konkwista! Any near future plans for Bandeira de Combate? BDC: Our split record with AKK that will be launched around October/November, we are feeling very enthusiastic about it and with the heavier sounds, longer tracks and because we are sure this will be like a nail being hammered to your heads. These Japanese folks are great with their Samurai roots and brave like Kamikazes. And they bring it to their new songs. We also intend to play Europe any time soon!!! Thank you very much for your time. If there is anything you would like to say to your fans on the other side of the world, now you have the chance. BDC: It was an important, well spent time and we were honoured to answer these questions to your zine, then you folks in Scandinavia can learn more about us. We have some good friends and contacts in Sweden with a relationship of respect and friendship. We thank you very much for the opportunity and we salute all Midgard Magazine readers from Sweden and all Europe.